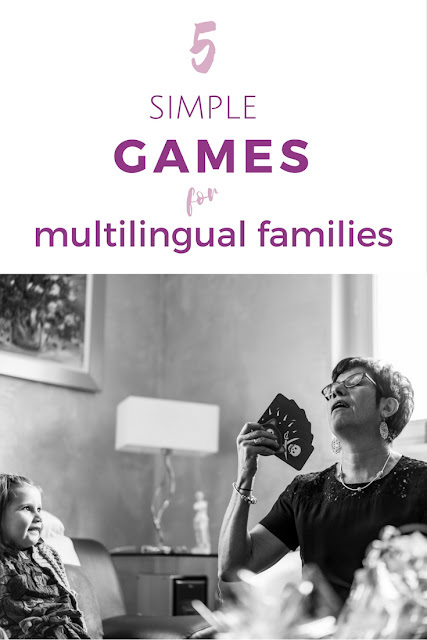 All of the games below can be played in almost any language and can be enjoyed by most family members. Perfect for long rainy winter days or family nights with the grandparents over the holidays. Most of these are also great options to take travelling as they are compact, light and without three hundred little bits and pieces. 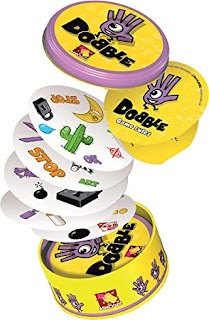 This simple card game is a great game to play from about 5 years old. You don’t really need to talk much for this one, so it works well with family members from different language backgrounds. 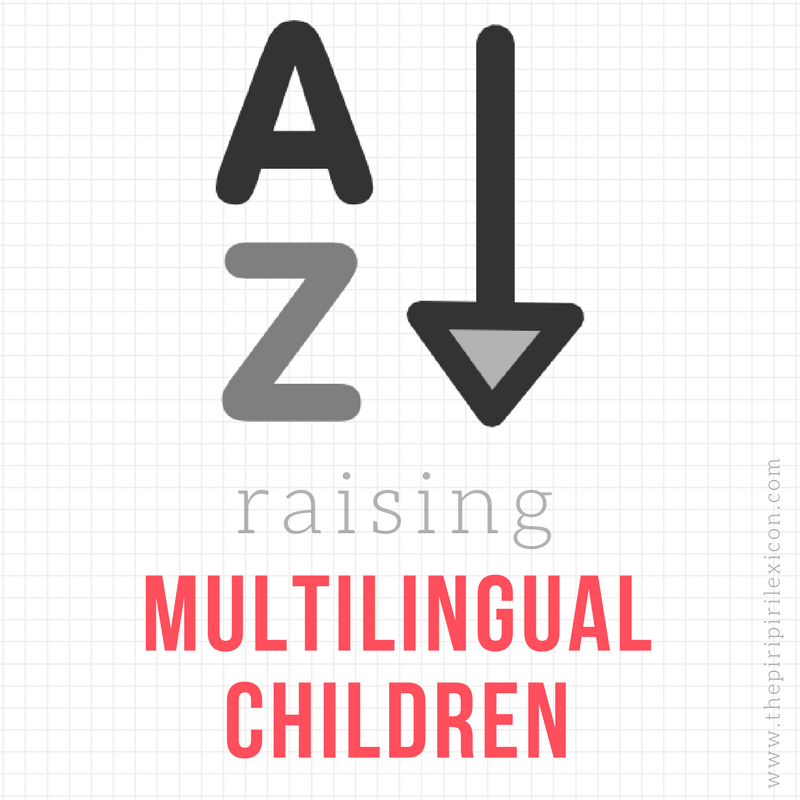 You can also ask your kids say the colours and numbers out loud when placing them so they get to practice colour and number words in different languages as you play. 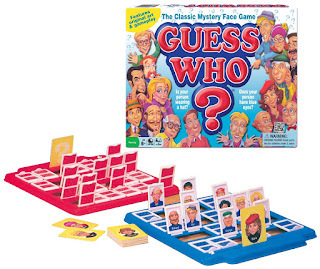 There are countless variations of the game available (including a simpler version for younger children). But a simple classic one makes a great travel companion for life. Ours has been around the world already. Some might know the game as Spot It. 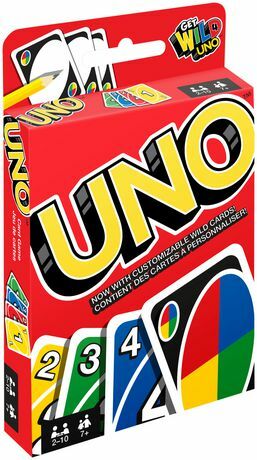 It is a card game with multiple objects on each card. The aim of the game is to call out one item you have on your card that is also on the previous card. It is a speed game. Kids get really good at it. Our almost-8-year-old loves it and is really fast while our 3-year-old is starting to get the gist of it. Obviously, it is great fun to learn a number of words in a specific language. You can even mix and match languages while playing. Great fun. There are different versions of the game available: some simpler than others and some themed ones. This is a classic. I used to play it when I was a kid. My daughter loves playing it today. Suitable from 6 years old, it is perfect for beginner language learners to practice physical attributes, question formation and colours. 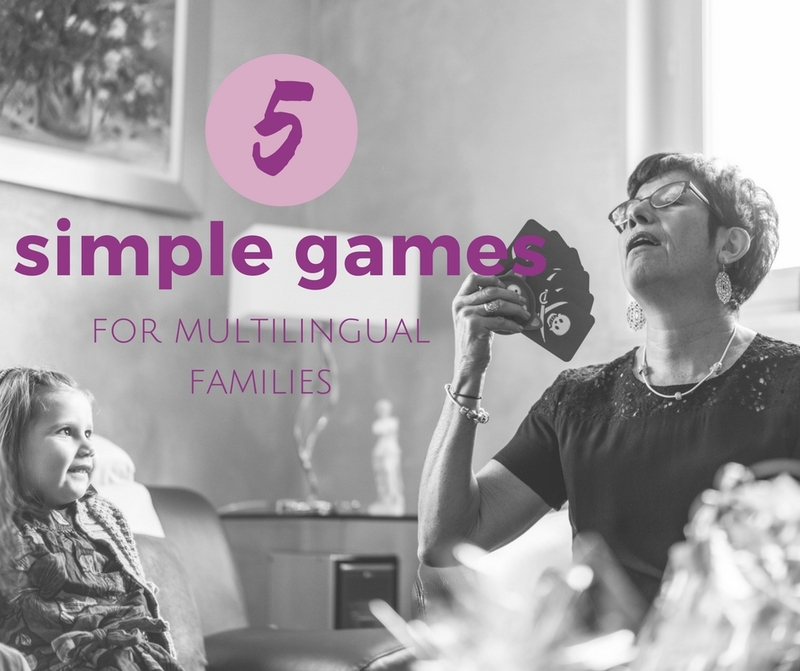 It is also great fun to play as a family in different languages. Just a word of caution, I find the newer (stand-up) version a little annoying as the little doors keep shutting down at the smallest nudge in the table. But there are card or flat versions that are much better. I had to look up what this game was called in English! I simply know it as the ‘jeu des 7 familles’. This is another classic from my childhood. We played it everywhere: in our camper van on long rainy days, at home, in waiting rooms. It is a great game for multilingual families as, again, it encourages question formation and family members vocabulary practice. You can get versions with more or fewer members in each family, making it easier and quicker to play or not. Children from about age 4/5 can play it. There are many great games out there. But we have tested and love the ones featured in the video above from Djeco (a fabulous brand, by the way). There are two versions: easy with 4 people in each family (Mini Family) and more complex with 6 family members (Happy Family). This one is more suited for older children (from 6/8 years old depending on the version). 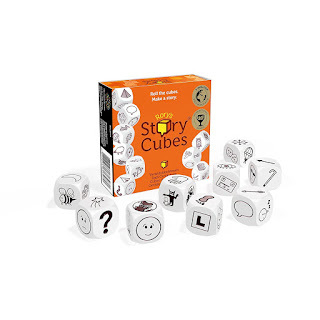 The premise is simple: roll the dices and create a story with the images given. 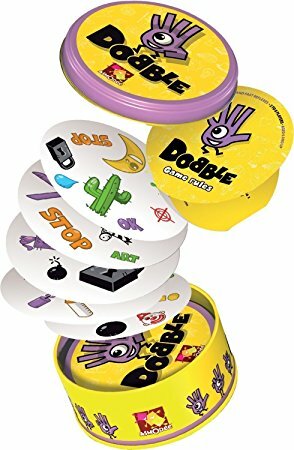 It can be a little challenging for the younger kids, but it is a great game to play at bedtime or while waiting at the airport. It encourages imagination and story-telling skills while also developing vocabulary. There are many versions of the game: some themed and others more general. Disclaimer: this article contains some affiliate links. In layman's terms that means that if you click on them, I may possibly earn a small commission on these small-priced items - if you are in the right country, purchase quickly, and haven't already clicked on someone else's link. It won't cost you extra, but you might accidentally support the free content I provide. Proceed at your own risks!